PHOENIX, Oct. 29, 2015 /PRNewswire/ -- Republic Services, Inc. (NYSE: RSG) today reported net income of $215.0 million, or $0.61 per diluted share, for the three months ended Sept. 30, 2015, versus $185.8 million, or $0.52 per diluted share, for the comparable 2014 period. Excluding certain benefits and expenses, on an adjusted basis, net income for the three months ended Sept. 30, 2015, was $184.7 million, or $0.53 per diluted share, versus $186.0 million, or $0.52 per diluted share, for the comparable 2014 period. For the nine months ended Sept. 30, 2015, net income was $577.7 million, or $1.64 per diluted share, versus $497.3 million, or $1.39 per diluted share, for the comparable 2014 period. On an adjusted basis, net income for the nine months ended Sept. 30, 2015, was $547.4 million, or $1.55 per diluted share, versus $522.1 million, or $1.46 per diluted share, for the comparable 2014 period. "Our results continue to demonstrate the progress we have made with our strategy of profitable growth through differentiation, while capturing the benefits of a steady improvement in solid waste trends," said Donald W. Slager, president and chief executive officer. "Our initiatives are delivering strong results through a heightened focus on the customer experience and improving service delivery, while reducing costs through operational programs and efficiencies." Mr. Slager added, "We are pleased with our performance and remain well-positioned to achieve our full-year financial guidance which we raised in July. Our Board recently approved an additional $900 million to our share repurchase authorization, which continues to demonstrate the confidence we have in our free cash flow generation and our commitment to increase cash returns to shareholders." Adjusted diluted EPS was $0.53 per share and year-to-date adjusted free cash flow was $603 million; both were in-line with our expectations. Revenue growth from average yield was 2.5 percent and volumes increased 0.6 percent. This reflects our ability to grow price and volume simultaneously. Core price was 3.6 percent, which consisted of 4.7 percent in the open market and 1.8 percent in the restricted portion of our business. Adjusted EBITDA margin was consistent with the prior year at 28.1 percent of revenue. Margin expansion in our solid waste business primarily from lower fuel costs was offset by headwinds in our recycling business and the impact of recent acquisitions. In the third quarter we returned approximately $191 million to our shareholders through share repurchases and dividends. We have returned approximately $594 million to shareholders on a year-to-date basis. Our Board approved a $900 million increase to our existing share repurchase authorization, and extended the term through Dec. 31, 2017. We have over 400 contracts with approximately $200 million in annual revenue that now use an alternative index for the annual price adjustment. 74 percent of our fleet is certified under our standardized maintenance program. The Company is providing its preliminary outlook for 2016. This does not represent full detailed guidance, but rather a point-in-time estimate based on current projections of 2015 performance, early reviews of the 2016 budget process and current economic conditions. Consistent with prior practice, we will provide formal guidance in February 2016 once the budget process is complete and full year 2015 results are reported. Diluted earnings per share is expected to be in a range of $2.13 to $2.17. This assumes an effective tax rate of 39.5 percent, which results in a 3-cent tax headwind compared to our expected 2015 results. Adjusted free cash flow is expected to be in a range of $790 million to $810 million. Adjusted free cash flow consists of cash provided by operating activities, less property and equipment received, plus proceeds from the sales of property and equipment and withdrawal payments related to Central States Pension Fund, net of tax. Mr. Slager commented, "Our preliminary outlook represents mid- to high- single digit growth excluding the anticipated increase in our effective tax rate. This level of growth is strong given the impact low CPI will have on our indexed-based pricing." 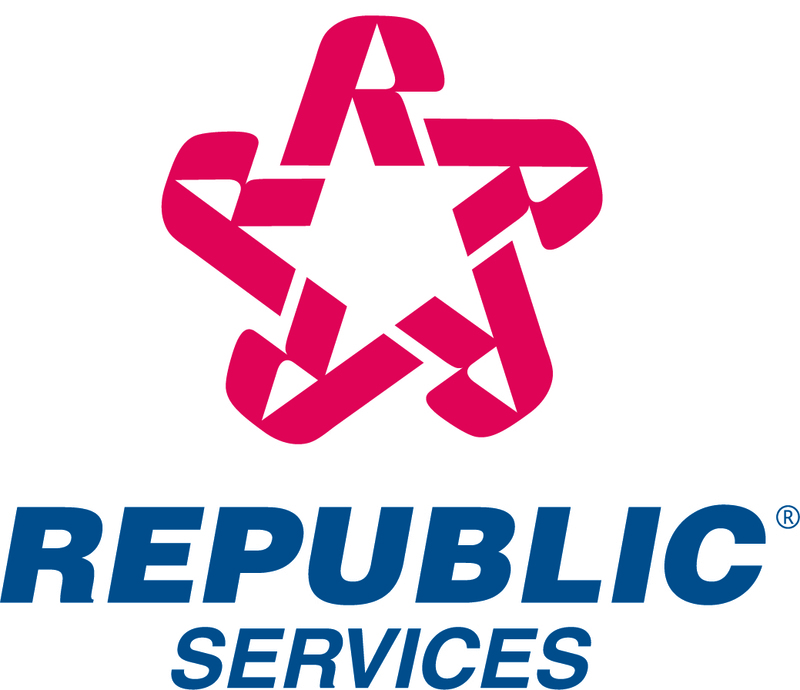 Republic announced today that its Board of Directors declared a regular quarterly dividend of $0.30 per share for shareholders of record on Jan. 4, 2016. The dividend will be paid on Jan. 15, 2016. Adjusted diluted earnings per share, adjusted net income, adjusted EBITDA, and adjusted free cash flow are described in the Reconciliation of Certain Non-GAAP Measures section of this document. Adjusted diluted earnings per share and adjusted free cash flow guidance for 2015 is described in the 2015 Financial Guidance section of this document. Average yield is defined as revenue growth from the change in average price per unit of service, expressed as a percentage. Core price is defined as price increases to our customers and fees, excluding fuel recovery, net of price decreases to retain customers. We measure changes in average yield and core price as a percentage of related-business revenue, defined as total revenue excluding recycled commodities and fuel recovery fees, to determine the effectiveness of our pricing strategies. Average yield as a percentage of related-business revenue was 2.8% and 2.6% for the three and nine months ended September 30, 2015, respectively, and 1.5% and 1.4% for the same periods in 2014, respectively. Core price as a percentage of related-business revenue was 4.0% for each of the three and nine months ended September 30, 2015, and 3.2% and 3.4% for the same periods in 2014. Reported diluted earnings per share were $0.61 and $1.64 for the three and nine months ended September 30, 2015, respectively, as compared to $0.52 and $1.39 for the same periods in 2014. During each of the three and nine months ended September 30, 2015 and 2014, we recorded a number of charges, other expenses and benefits that impacted our EBITDA, pre-tax income, net income attributable to Republic Services, Inc. (net income – Republic) and diluted earnings per share. The aggregate impact of these items noted to adjusted diluted earnings per share totals to $0.01 for the nine months ended September 30, 2014. Line items in this column do not total to $1.55 per share due to rounding. We believe that presenting adjusted EBITDA, adjusted pre-tax income, adjusted net income – Republic, and adjusted diluted earnings per share, which are not measures determined in accordance with U.S. GAAP, provides an understanding of operational activities before the financial impact of certain items. We use these measures, and believe investors will find them helpful, in understanding the ongoing performance of our operations separate from items that have a disproportionate impact on our results for a particular period. We have incurred comparable charges and costs and have recorded similar recoveries in prior periods, and similar types of adjustments can reasonably be expected to be recorded in future periods. In the case of the Bridgeton remediation charges and insurance recoveries, we are adjusting such amounts due to their significant effect on our operating results; however, in the ordinary course of our business, we often incur remediation charges and recoveries that we do not adjust from our operating results. Our definitions of adjusted EBITDA, adjusted pre-tax income, adjusted net income – Republic, and adjusted diluted earnings per share may not be comparable to similarly titled measures presented by other companies. As of September 30, 2015 and December 31, 2014, accounts receivable were $988.8 million and $930.4 million, net of allowance for doubtful accounts and other of $50.2 million and $38.9 million, respectively, resulting in days sales outstanding, net of acquisitions, of 38 (or 25 net of deferred revenue). In July 2015, we paid a cash dividend of $97.8 million to shareholders of record as of July 1, 2015. As of September 30, 2015, we recorded a quarterly dividend payable of $104.3 million to shareholders of record at the close of business on October 1, 2015, which was paid on October 15, 2015. During the three months ended September 30, 2015, we repurchased 2.3 million shares of our stock for $93.8 million at a weighted average cost per share of $40.89. In addition, as of September 30, 2015, 0.1 million repurchased shares were pending settlement and $5.3 million were unpaid and included within other accrued liabilities. As of September 30, 2015, we had 347.7 million shares of common stock issued and outstanding. We believe that presenting adjusted diluted earnings per share, which excludes Bridgeton insurance recoveries, provides an understanding of operational activities before the financial impact of certain items. We use this measure, and believe investors will find it helpful, in understanding the ongoing performance of our operations separate from items that have a disproportionate impact on our results for a particular period. We have incurred comparable benefits in prior periods, and similar types of adjustments can reasonably be expected to be recorded in future periods. Our definition of adjusted diluted earnings per share may not be comparable to similarly titled measures presented by other companies.